WaterCheck Laboratory Analysis Water Testing Kit with Pesticides, "Deluxe" by National Testing Laboratories will test for 97 contaminants in water. FilterWater.com has partnered with National Testing Labs to offer the most economical and comprehensive water analysis program in the country. Do you know what is in water you and your loved ones are consuming? How can you tell if the water is indeed clean and free of contaminants? 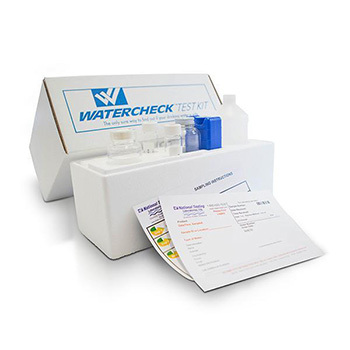 The WaterCheck Laboratory Water Quality Test kit is your peace of mind, and it can also help us diagnose and treat appropriate water treatment. When you order WaterCheck Laboratory kit, we will send you a kit with instructions. 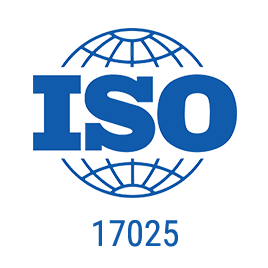 You must follow the instructions, collect water sample(s) and ship the kit to National Testing Laboratories, which is a lab located in state of Michigan. 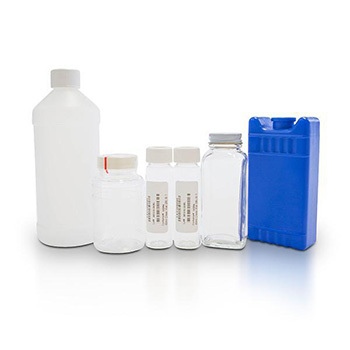 The professional laboratory analyzes your water samples and send you results in 10-15 days. 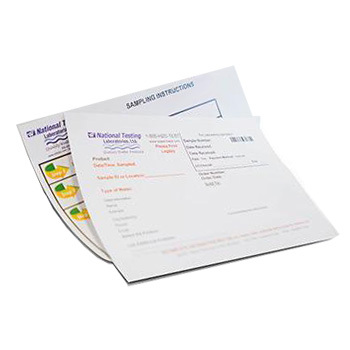 The purchase includes the test kit, the laboratory analysis and the lab water quality report. You are responsible for shipment and shipping cost of the water kit to Michigan. (20) pesticides, herbicides and PCB’s. 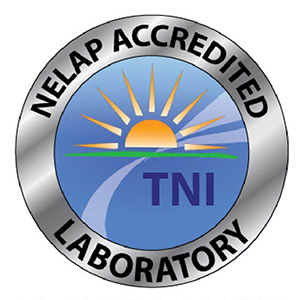 The National Testing Laboratories, Ltd. Network of certified laboratories performs drinking water analysis for customers worldwide according to USEPA and standard methods. Complete all information on the enclosed form. Collect all water samples according to the detailed instructions included. To ensure valid bacteria results, samples should be collected after 1:00 PM EST. Samples must be shipped guaranteed next day delivery. Do not collect and ship your water on Friday, Saturday, or the day before a national holiday. Ship your kit via next day guaranteed delivery to National Testing Laboratories on the same day water is collected. Don't forget to write down tracking number to verify your package reaches the lab on time.